The Landis+Gyr DC450 is a new generation intelligent data concentrator for large scale meter reading and controlling applications. 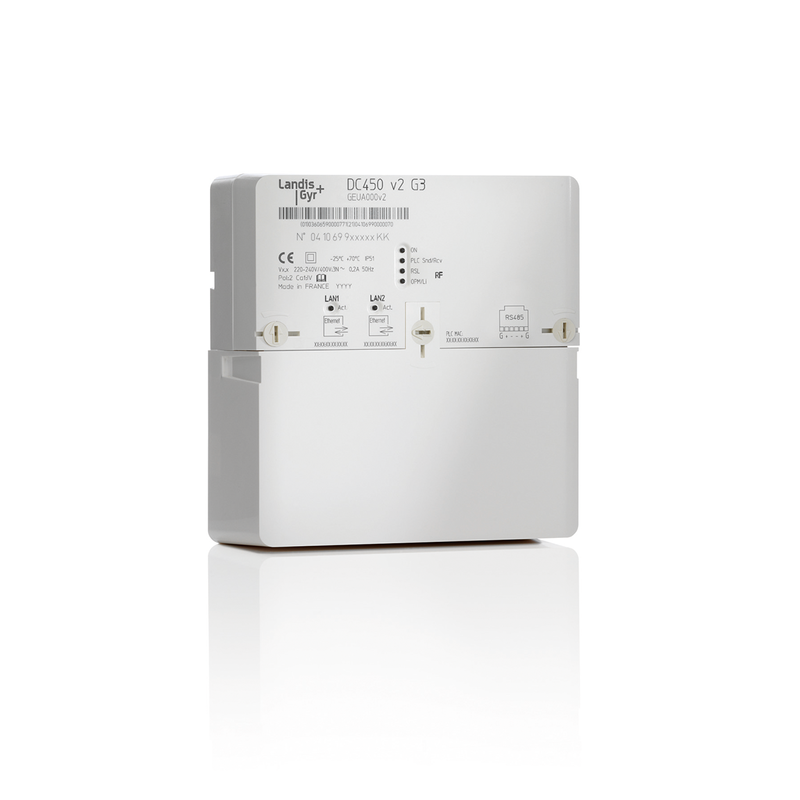 The DC450 supports a wide variety of communication interfaces between local meter parks and backend support systems to meet the needs of the environment. Data exchange is secured through IDIS (Interoperable Device Interface Specifications) compliance over PLAN+ (Power Line Automation Network) networks and TLS (Transport Layer Security) protocol for all other types of communication. Modular hardware and software design allows flexible adaptation of functions for future requirements. Simple “plug & play” installation of preconfigured devices results in considerable time and cost savings. Thanks to new topology view, utility engineers can significantly improve their field “clean-up” operations during the rollout and troubleshooting phase.